What Car? (Indian edition) seems to have been just what the doctor ordered for the new-car buyer in India. What Car? 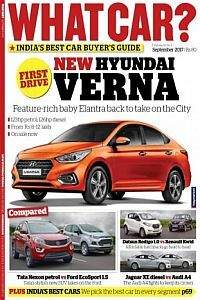 India hit the newsstands with one simple goal: to help you buy the right car at the right price. Cars and the way you buy them have changed massively over the years, but our goal has remained the same. The country’s first car magazine for everyday people has received an excellent market response. From the latest news, to group tests of vehicles, through to investigative reports and in-depth buying advice, this monthly magazine is helping buyers make an informed choice. Just like you, we pore over brochures and spec sheets, we do our sums, and then we double-check everything again.